With SoGoSurvey, you can easily publish surveys on Facebook to reach a wider audience. 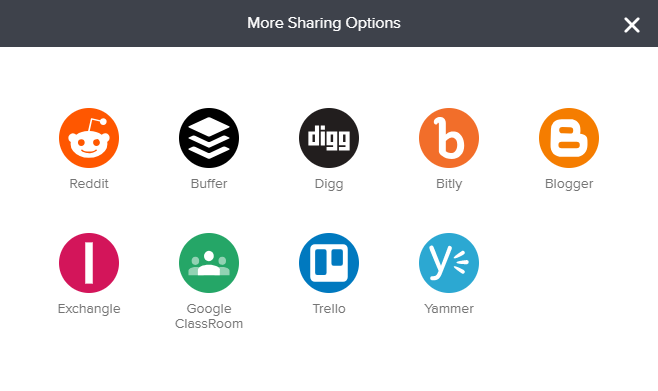 Collect feedback and make it simple for participants to share your survey link with others. Select the Facebook option listed under Publish on Social Media, and proceed by clicking on Continue at the bottom. Enter the Survey Name as it should be displayed on Facebook. Upload a Logo/Image for your survey. Preview Facebook Post option displays a preview of how the post will appear on your Facebook page. 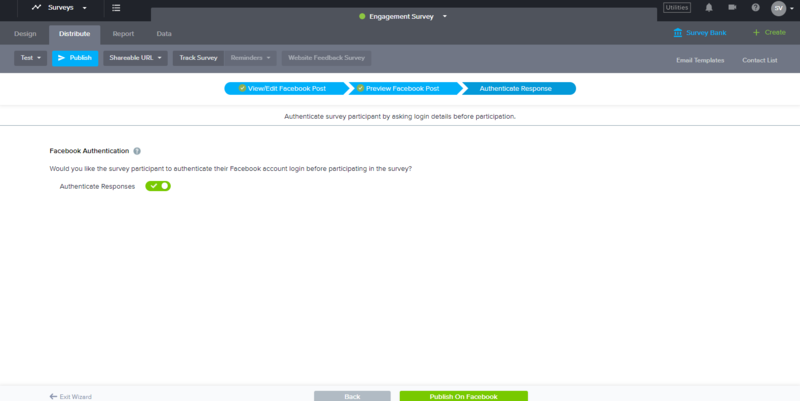 Enable the Authenticate Response feature to require survey participants to provide Facebook credentials. Click on Publish on Facebook. This will open a Facebook confirmation page to authorize publishing. Keep your survey short and offer small incentives for survey completion to ensure more people participate in the survey. Want to publish your survey on Twitter? No problem! SoGoSurvey’s got you covered. Select Twitter under Publish on Social Media and proceed by clicking Continue. Choose Authenticate Participation to authenticate your responses. This will require participants to provide either Facebook or LinkedIn credentials before participating in your survey. Click on Publish on Twitter. A Twitter page will open in a new window to finalize your post. Make sure you add disqualification questions to your survey. This will ensure you reach the target audience you were anticipating. Created a survey for research and want to reach your audience through LinkedIn/LinkedIn groups? Our LinkedIn publishing option will be of great service. Select LinkedIn under the Social Media column and proceed by clicking Continue. Enter the Survey Name as it should be displayed on LinkedIn. Upload a Logo/Image along with your survey. Preview LinkedIn Post displays a preview of how your post will look on LinkedIn. You can use the Authenticate Response feature to require survey participants to provide LinkedIn login details. 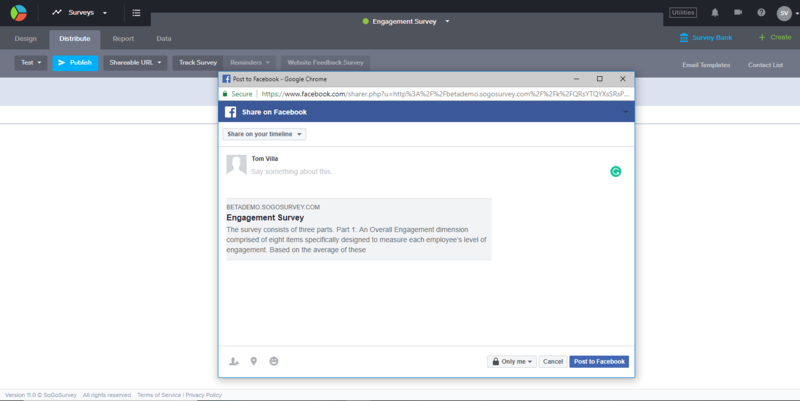 Enabling the Authenticate Response feature will allow people to participate in your survey only after authenticating their Facebook or LinkedIn account. In Track Survey, received responses will have associated email addresses of the respective Facebook account. This can be further used to filter duplicate responses from the same participant or to use their email addresses for entry into a drawing, etc.